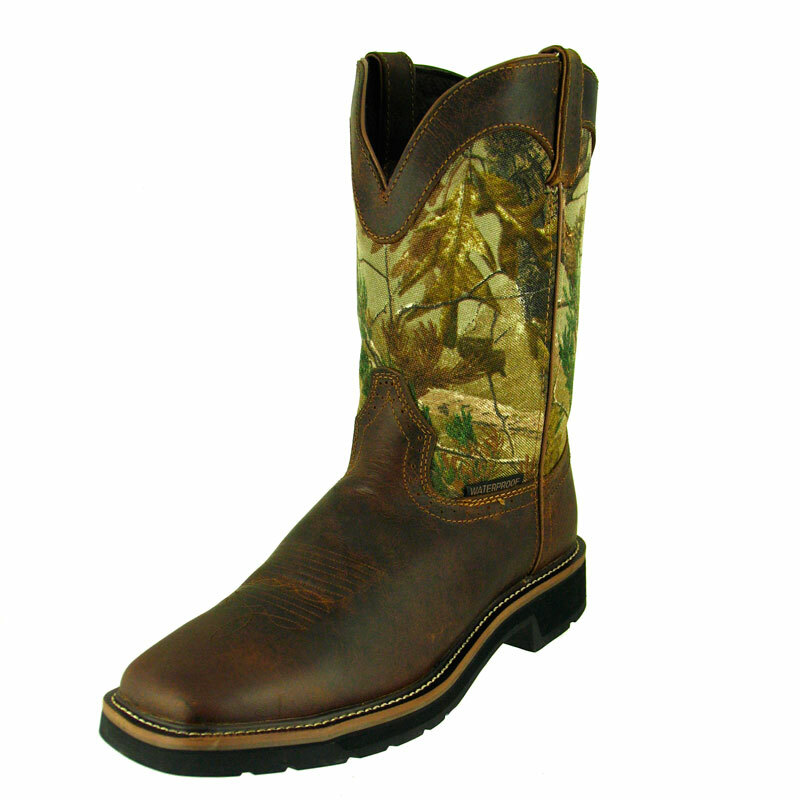 The Joist Waterproof 11-inch tall men's Hybred® work boot makes work feel easy. 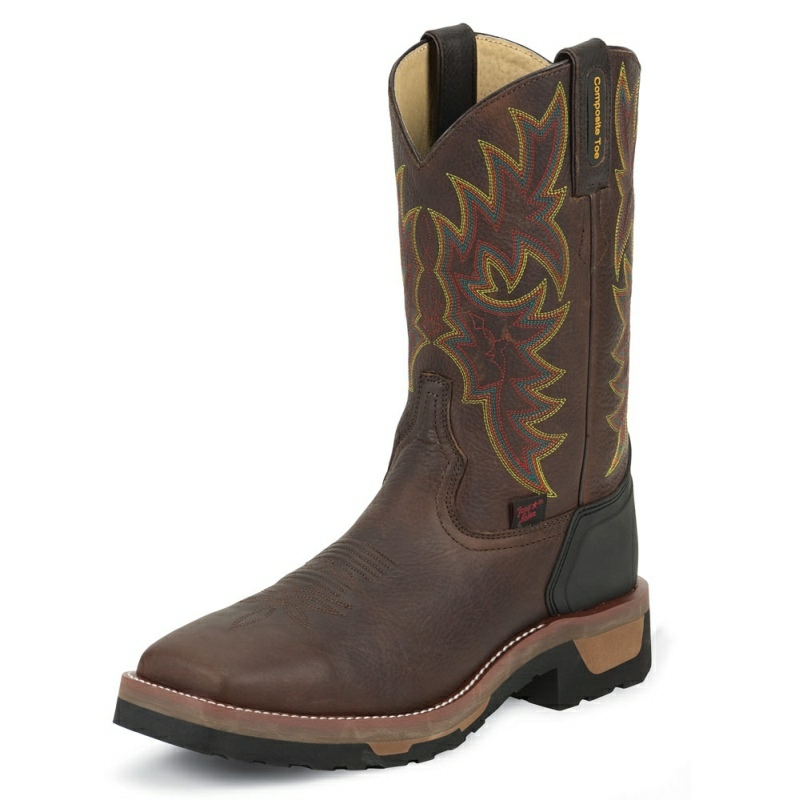 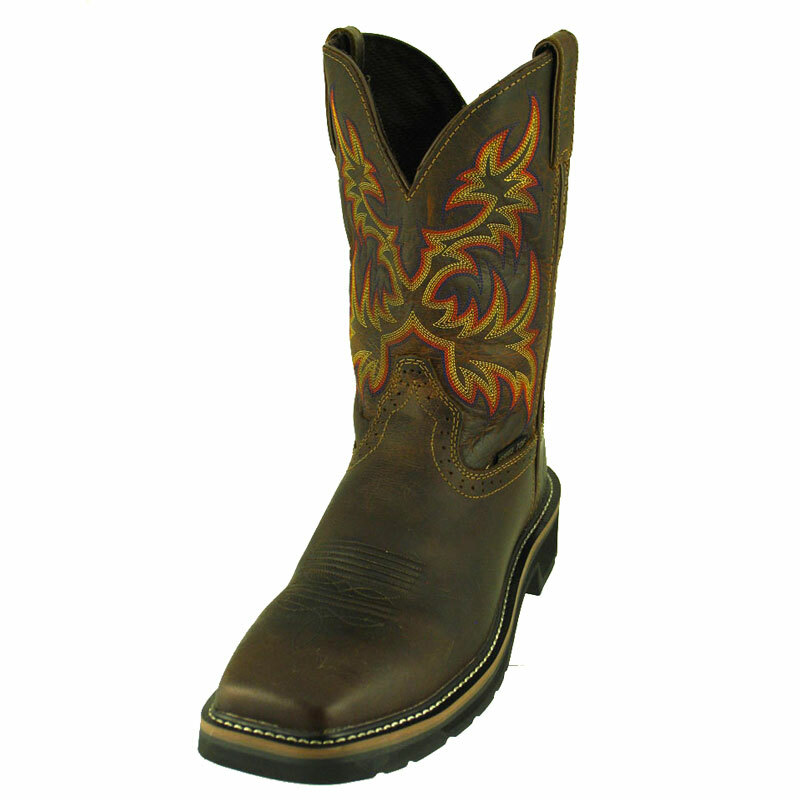 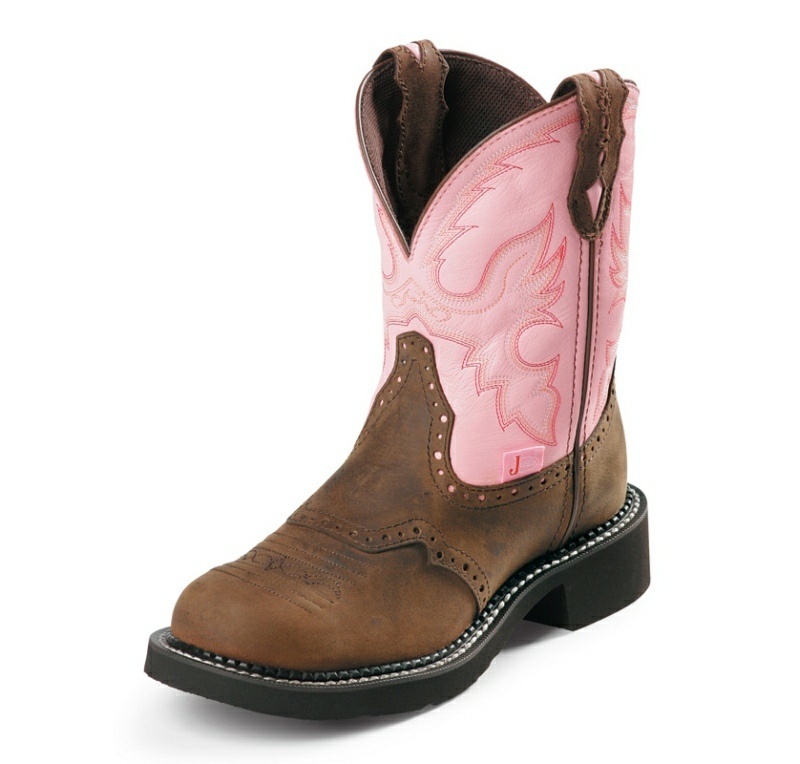 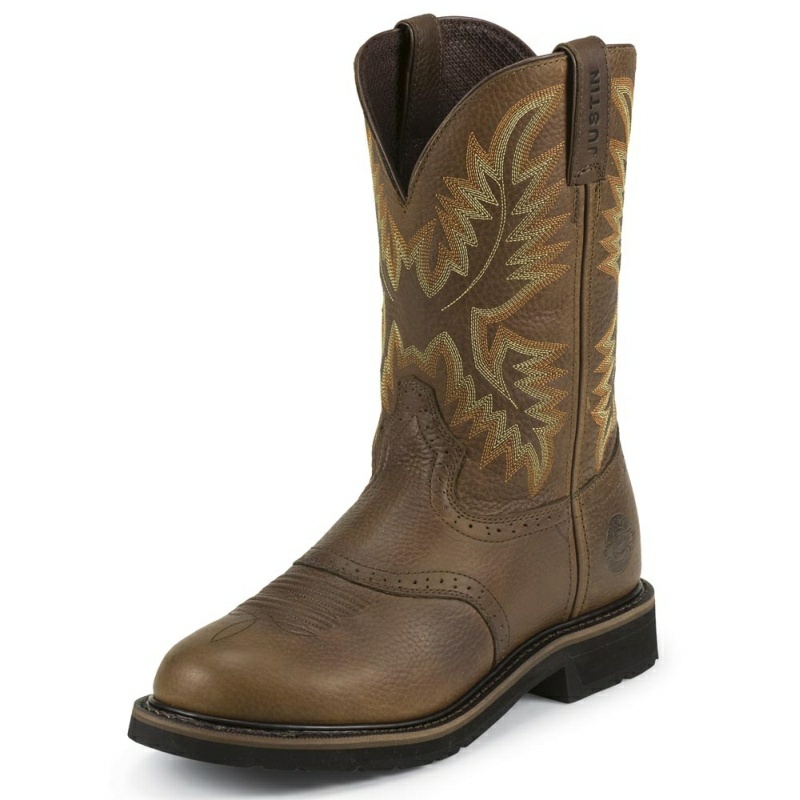 The rustic brown leather exterior is waterproof and accented by a simple retro-inspired stitch pattern along the upper with a saddle perforated square toe foot. 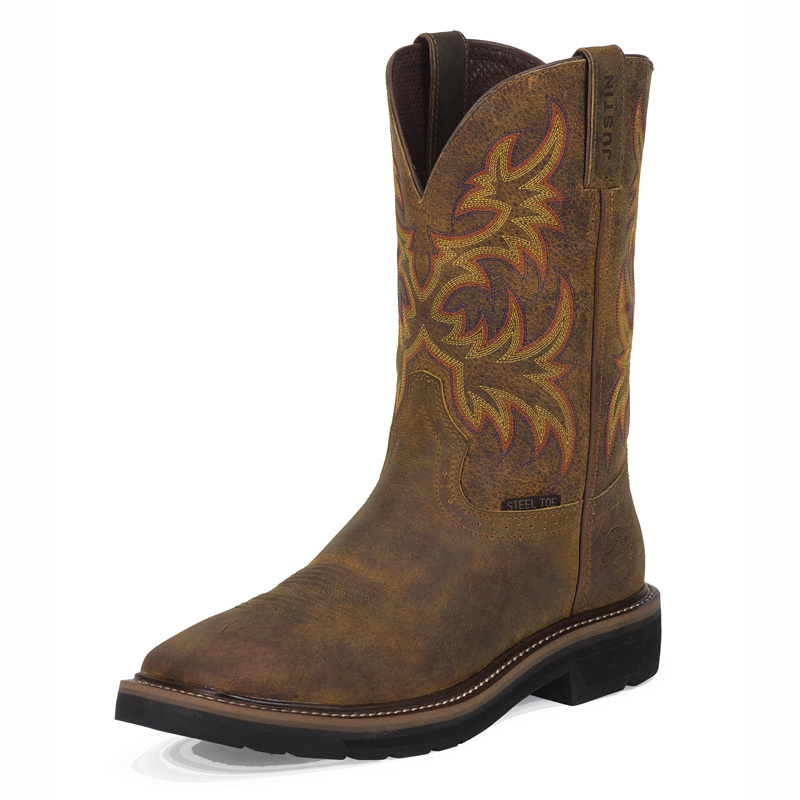 This boot features layers of comfort with a J-Flex Flexible Comfort System® insole, the Justin Stabilization Technology®, Ortholite® Comfort Foam insole, and a Dri-Lex® cover. 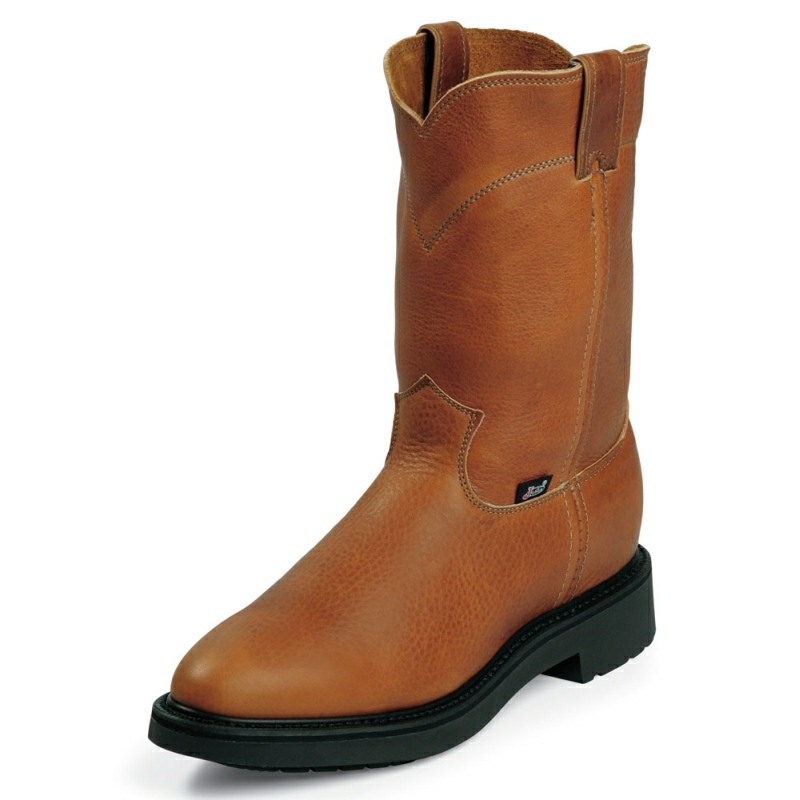 Its multi-density rubber and EVA combination outsole offers lightweight durability and meets the standards for electrical hazard footwear so you are guaranteed protection against open circuits of up to 18,000 volts. It also provides an Achilles Relief System® that elevates comfort by using stretchable material, high-density foam, and moisture-wicking anti-microbial lining to provide flexibility, support and breathability.